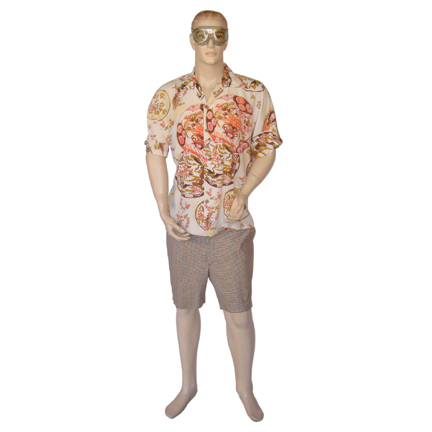 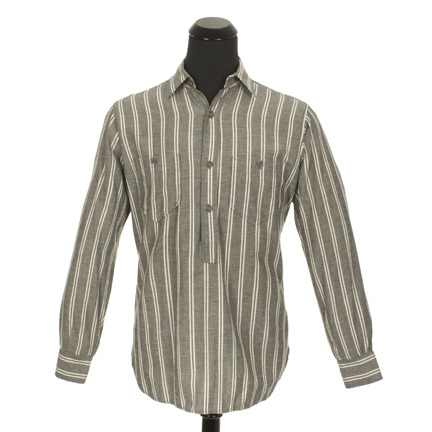 This western shirt was worn by the character "Tristan Ludlow," portrayed by actor Brad Pitt, in the 1994 motion picture, "Legends of the Fall." 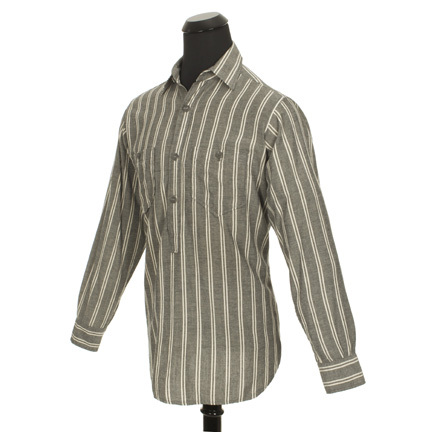 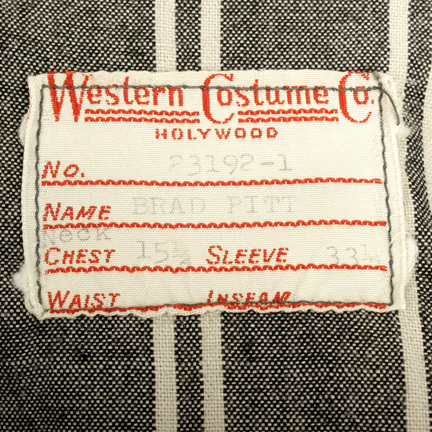 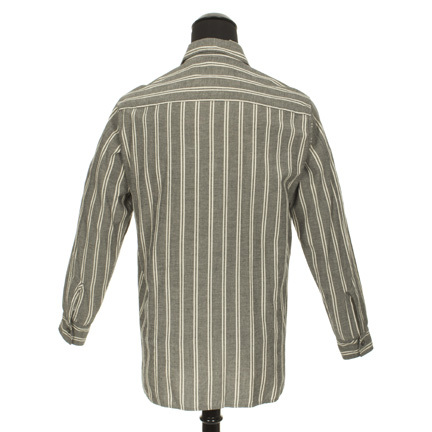 The long sleeve gray western shirt with white pin stripes was custom made for the actor's use on the production and has the original costume house label sewn into the collar with the name "Brad Pitt" clearly printed. 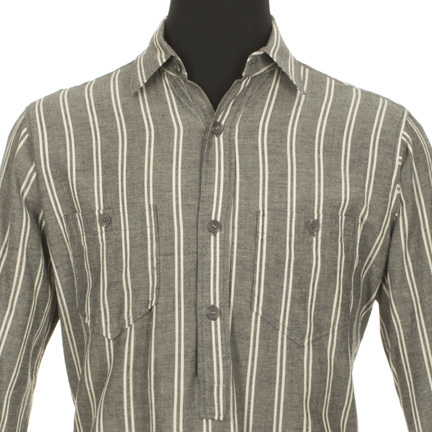 Mr. Pitt wore this shirt during the scene where Tristan is confronted by gangsters in an alley and threatened because of his bootlegging activities. 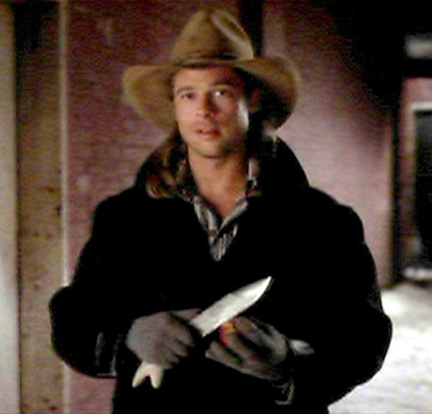 "Legends of the Fall" was a sweeping dramatic epic that also featured stellar performances by Anthony Hopkins, Aidan Quinn, Henry Thomas, and Julia Ormond. 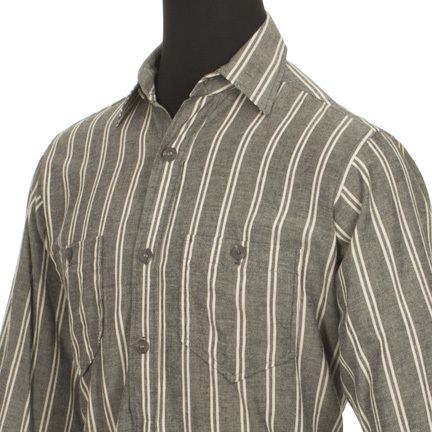 The film was nominated for three Academy Awards, winning for Best Cinematography, and received four Golden Globe nominations, including a Best Performance by an Actor nomination for Brad Pitt.